On Sunday, October 22, 2017 Japanese Prime Minister Shinzo Abe won his third consecutive electoral victory. The 63-year-old Abe is on course to become Japan’s longest-serving Prime Minister. Mr. Abe owes his victory partly to adroit political judgment. Sensing disunity among his likely opponents, he called for an unscheduled election. In response, the main opposition party, The Democratic Party split into right wing and left wing factions, neither of which could mobilize strong enough support to defeat Abe. Early on in his tenure, Mr. Abe also had the adroit political judgment to coin (or at least adopt) the term “Abe-nomics” for his economic policies, which are remarkably similar to those of America and the European Union for the last decade or so. These policies are marked by a close to zero interest rate policy, a Central Bank increasingly active in the bond and stock market, higher taxes and higher spending. Any comparison of Japan to any other country will always be limited because the peculiarities of each country must be taken into account. However, Japan as an economic example is particularly instructive for observers in the United States to consider because of Japanese monetary policy. Japan began its near-zero interest rate policies back in the 1990’s to avoid deflation. Yet despite its ultra-easy monetary policies, Japanese economic growth remained feeble. Before 2008, commentators in America looked at Japan’s inability to stimulate its economy into vigorous growth scornfully. 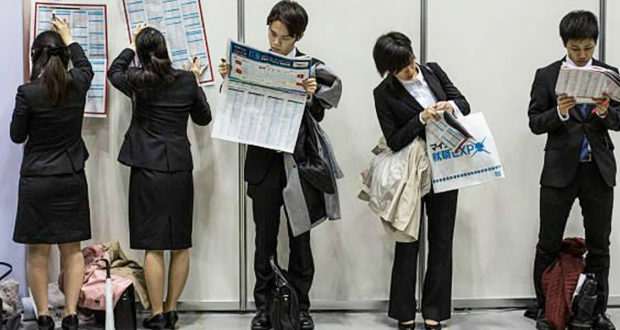 Talk of Japan’s “Lost Decade” was common. “The Holy Grail of Macroeconomics: Lessons from Japan’s Great Recession” by Richard Koo, was a popular book published in 2008 exploring these themes. The monetary and economic policies of the US and Japan are now so similar that the results of the election in Japan are reported in the American media through the prism of America’s domestic politics. Mr. Abe’s win was greeted with apologist enthusiasm by the mainstream financial press, perhaps comforted to see that a left of center Obama era politician could still get it done. For instance, a Wall St. Journal headline stated that “victory at the polls puts Japanese leader in position to tackle long-term challenges.” He has already had the Prime Minister job for five years, so the promise of determined ‘tackling’ rings hollow. The Journal also reported that investors cheered Abe’s win by driving the local equity market to a record 15th straight day of gains. However, as a vote of confidence for the future, this rings hollow too when one considers that global equity markets have continued to post record highs, and that planks of Abe-nomics include continued ZIRP (which keeps margin rates low) and aggressive stock purchases by Japan’s Central Bank. In following Japan down the aggressive ZIRP money printing path, the US has not surprisingly had much the same experience. We have avoided deflation but have had anemic growth, asset inflation without conventional inflation, and increases in government debt that have eroded credit ratings and the integrity of our currency. Both countries have gamed their economic reporting so that unemployment numbers cannot be taken at face value. The details of all of these results are needless to say complicated. However, the measure of success for economic success in both Japan and the US now comes down, very simply, to whether wages will increase or not. More pleasant sounding definitions of unemployment are not prosperity. Higher wages are prosperity. Higher wages drive down real unemployment. High enough wages will produce the conventional inflation that government technocrats in Japan and the US are supposedly seeking. Mr. Abe has not been able to produce consistently growing wages in his first five years in office and this past year has been dismal in this regard. As Tyler Durden at Zero Hedge points out, “real wages have contracted year-over-year in each of the past three months, and have been zero or negative in ten of the last eleven”. Abe’s success should be judged on his ability to make Japan ‘The Land of the Rising Wage.’ Policy makers in the US should keep a close eye on this with a view to avoiding what does not work to that end in Japan. Inevitably, what does not work in Japan, will not work in the US either.